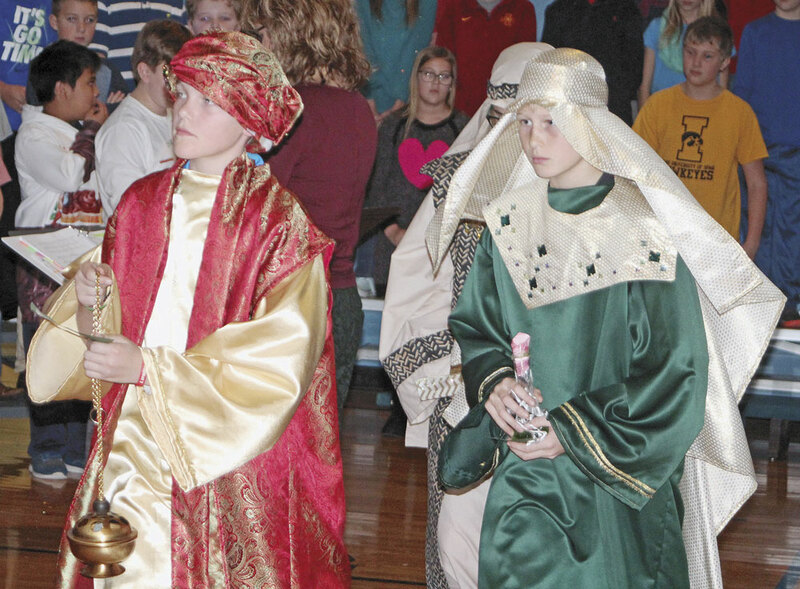 Immaculate Conception Elementary School held its grade 3-6 Christmas program twice on Thursday, once in the afternoon and again in the evening at the IC School gymnasium. 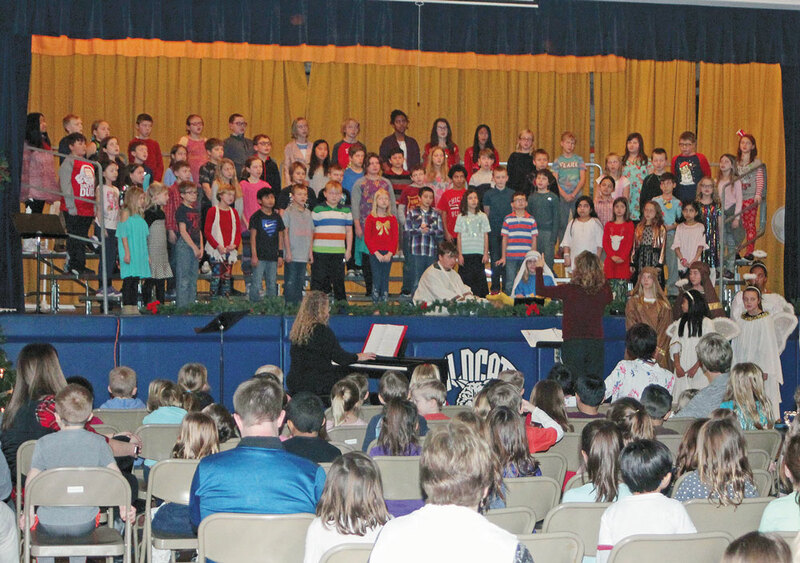 Angie Daoud was the musical director and Chris Cleveland accompanied. 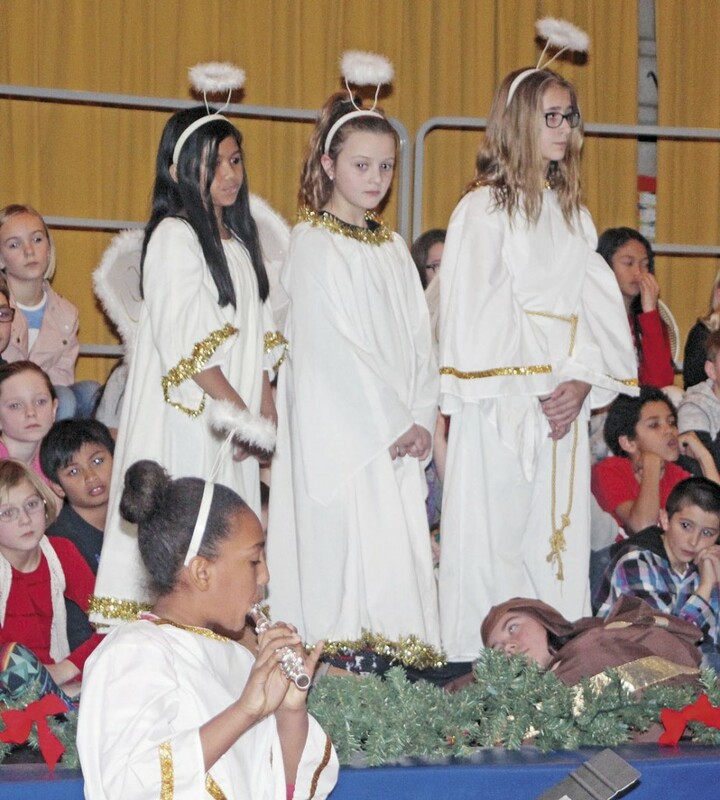 All the students, third grade through sixth grade, sang Christmas songs commemorating the birth of Christ. 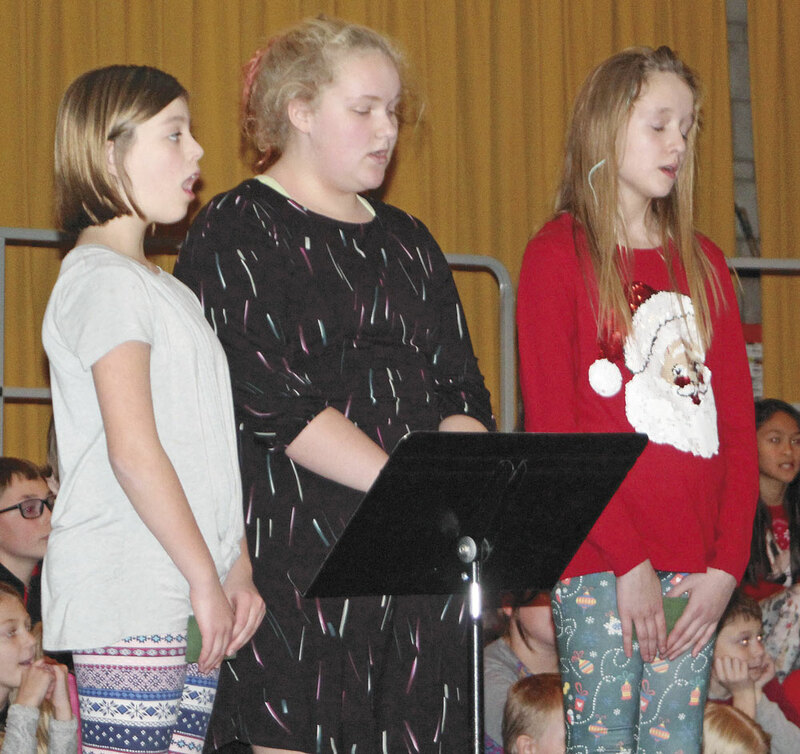 Addison Tracey led the prayer, and various narrations were orated by Payton Hadley, Nick Williams, Carson Foxen, Ella Jones, Alexandra Wright, Riley Perez, Catherine Field and Mya Rimrod, who also had a flute solo. 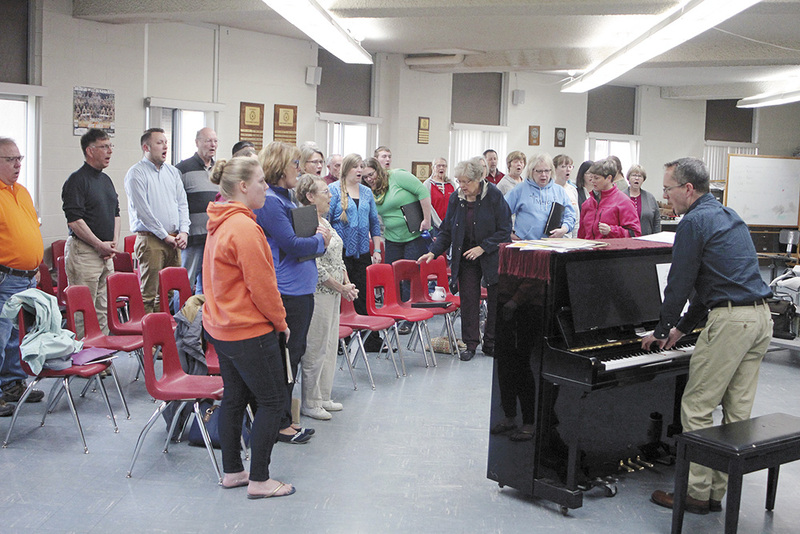 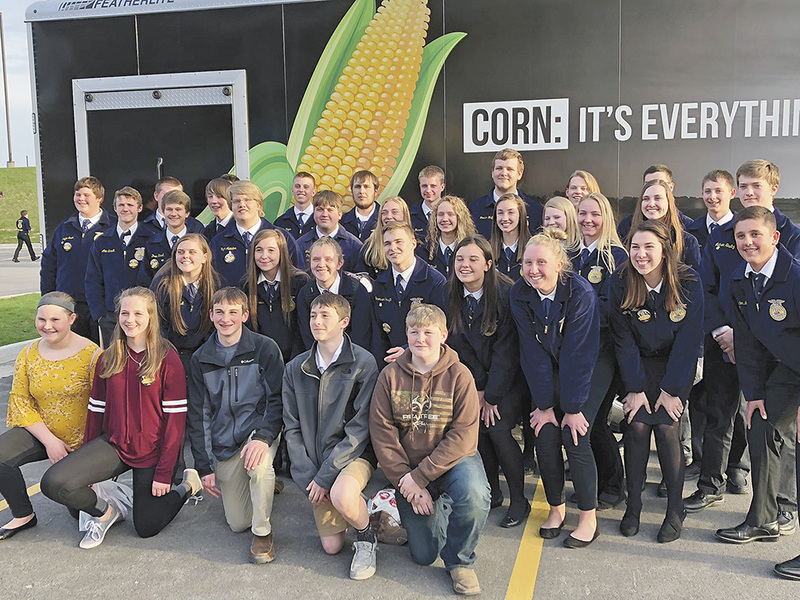 Vocal soloists were Tayleigh Lantz, Isabel Crawford, Addison Tracey, Abby Assink, Koryn Osier, Danica Dejongoy, Kylie Parsons, Anya Ruzicka, Isabelle Vance, Blake Hoeft and Corbin Harris.